The Chronicles of Narnia are one of my favourite series of books. My dad started reading them aloud to me when I was around four years old, and they've been an integral part of my life ever since. Recently I've begun my traditional yearly pilgrimage through the books with a friend, and we've found ourselves sitting with the Pevensie children around the Beaver's dinner table, listening to that marvelous prophecy about Aslan, the coming King. Sometimes it feels like winter can be endless--especially here in Minnesota when snow can still fall in May. 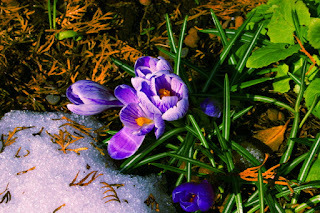 After the long trudge through those monochromatic seasons of life where it's "always winter, never Christmas," you wonder if Aslan will ever come, if there will ever be green and crocuses and warmth and open windows. But there is an end to winter, a death to winter, a defeat to winter. And we live in the anticipation, the assurance, of that coming spring! Happy Easter! You can check out my newsletter here (don't forget to read the second page!) or you can explore my newsletter archive page (dropbox changed some settings recently, so the broken links have now all been fixed). Lewis, C.S. The Lion, the Witch, and the Wardrobe. Scholastic, 1995. It’s Palm Sunday, and little girls in twirly dresses with giant bows run around the church waving palm fronds. The worship team declares the joy of this day—our King has come! 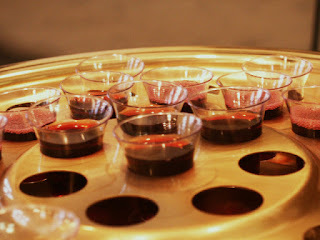 And, for the first time in eight months, when the congregation rises to go forward to take communion, I walk with them. I can’t stop grinning—what a day for my diet restrictions to finally loosen enough that I might drink the grape juice (though not the bread yet)! 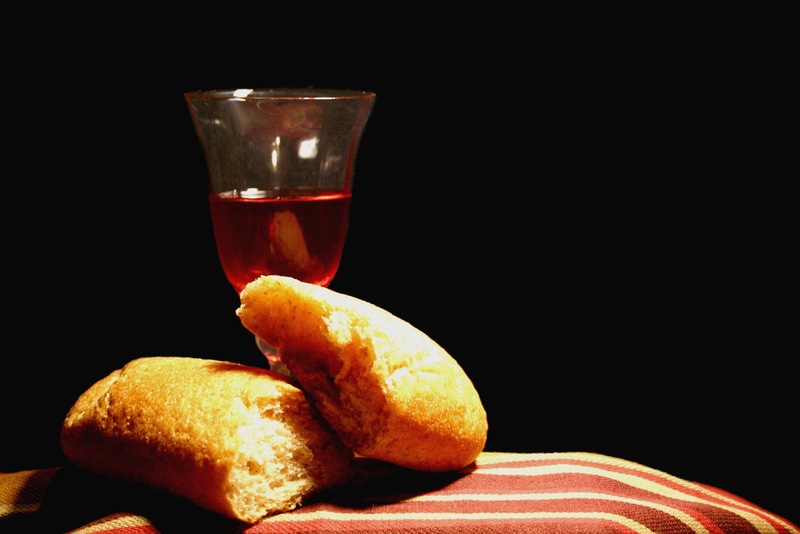 What was it like for the disciples—to see their rabbi lift the cup, lift the bread before them in the age old tradition of Passover? And then, suddenly, the script changes, and the lamb that substituted for the Israelites generations before is reclining next to them at the table, speaking now into the words of history. This suffering, this punishment you deserve is not something you can carry, He says. And so I take this burden. And eyes wide open, the sweat dripping blood in anguish, He walks into darkness and bears. This is me bearing your suffering. This is your invitation to follow me, to imitate me. To bear. To bear while being borne—to let this sometimes aching walk be allowed the privilege of bearing in imitation… well, then Lord, may it be. So I drink the grape juice and cry and laugh, and stumble through Holy Week toward Easter, when bearing fades beneath joy and uncertainty is swallowed up by assurance and death falls before life. Bonhoeffer, Dietrich. "Bearing Suffering." Be Still, My Soul: Embracing God's Purpose and Provision in Suffering: 25 Classic and Contemporary Readings on the Problem of Pain. Ed. Nancy Guthrie. Wheaton: Crossway, 2010. 65. Print.